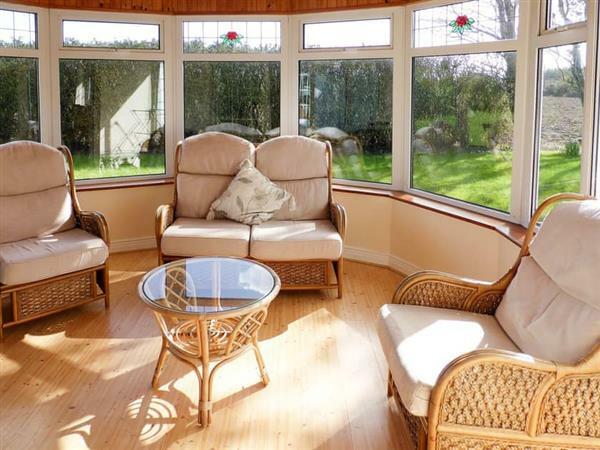 Shalom in Duncormick, near Kilmore Quay, County Wexford sleeps 6 people. 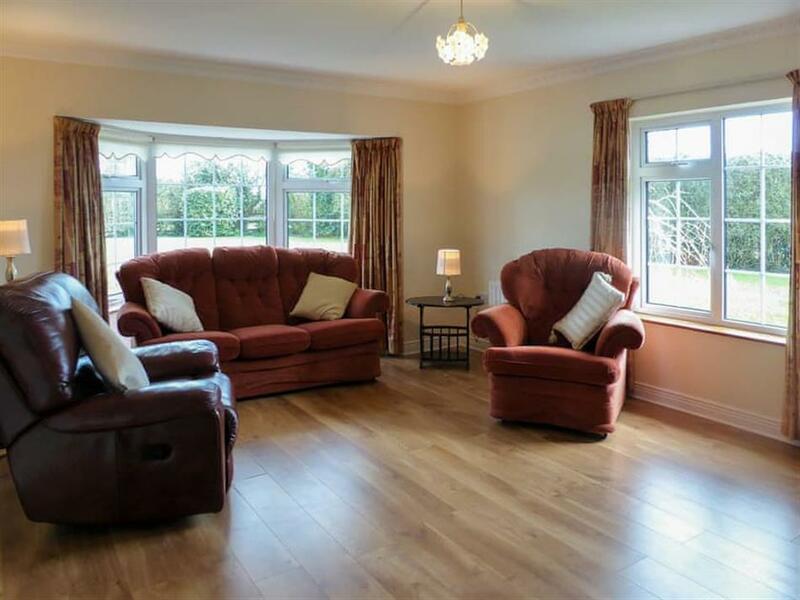 Shalom in County Wexford is set in a large level plot; Shalom is bright and airy inside with a delightful conservatory in which to sit and enjoy the garden views, whilst the living room has an open fire for those cosy nights in. In a rural setting yet conveniently situated to explore numerous attractions. These include the magical Hook Peninsula, hidden coves, Hook Lighthouse, which is the oldest operational lighthouse in the world, and the Irish National Heritage Park, an incredible 35-acre open-air museum which recreates the key stages in Ireland’s cultural evolution. The vibrant town of Wexford, with its medieval lanes and historic buildings such as the West Gate Heritage Tower, a restored 13th-century toll gate, and the ruined 12th-century Selskar Abbey, is also worth a visit. The nearby village of Duncormick has a pottery shop and school, running workshops for all ages and abilities, whilst for angling enthusiasts there is a saltwater angling service. Just 4 miles away is the beach at Cullenstown where the famous thatched ’shell cottage’ can be found, a real work of art carried out over 30 years with shells covering the whole exterior! Nearby is the picture postcard fishing village of Kilmore Quay with its whitewashed thatched cottages, colourful marina and sandy coves, as well as the stunning Ballyteige Burrow Nature Reserve which originates from the last Ice Age and extends to 9km of sand dunes and wildlife. There are superb seafood restaurants serving fresh daily catch, traditional pubs, a children’s playground, sandy coves, and boat trips can be taken to the nearby Saltee Islands, which have one of the world’s major bird sanctuaries. The beach is 4 miles from Shalom in County Wexford. With the shop and restaurant 2½ miles. The pub is 880 yards from Shalom. Approximate distance to Dublin airport is 177 km. Bedroom 2: With super king-size bed. Bed linen, towels and Wi-Fi included. Oil central heating and electricity by meter reading. Initial fuel for open fire included. Cot and highchair available on request. Welcome pack. Freezer available on request. Large lawned garden with garden furniture. Private parking for 3 cars. No smoking. Please note: There is a step in the garden. Holidays at Shalom run from Saturday to Saturday. For a better idea of where Shalom is, you can see Shalom on the map below. Do you want to holiday near Shalom (W32415), you can see other cottages within 25 miles of Shalom; have a look to find your perfect holiday location.